Check out my guest blog over at Halloween Haunts 2018, the Horror Writers Association‘s daily dose of tricks and treats. Yes, every day features a special giveaway and today’s is for a chance to grab a cool and coveted Final Frame Horror Film Contest t-shirt. Read on below the blog post for details. 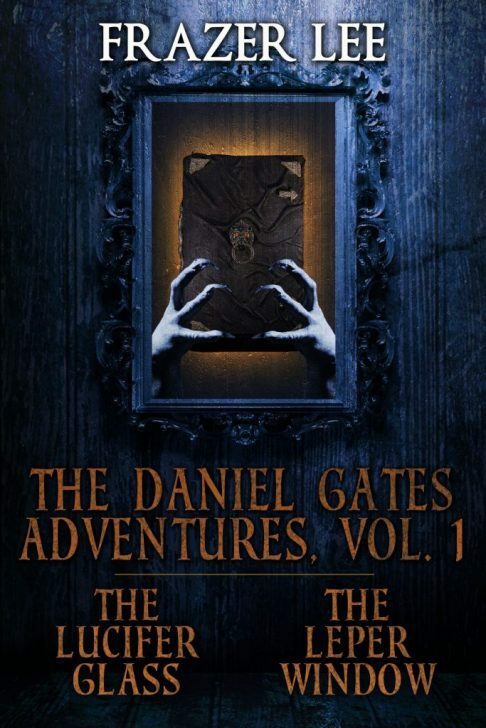 My blog post is about the importance of setting in my new horror novellas The Lilyth Mirror and The Lucifer Gate, both available now in The Daniel Gates Adventures Vol. 2 from Crossroad Press. And when you’re done reading, be sure to peruse the other Halloween Haunts blog posts, which offer everything from author interviews and excerpts of new books, to writing advice and horror history – along with more great giveaways each day. My thanks to the HWA (of which i am proud to be an Active Member) and Halloween Haunts editor Michele Brittany. Win a copy of Remastered social network horror PANIC BUTTON – released on DVD & Digital today! Don’t um Panic, but on October 23, 2017 (today!) – “Ground-breaking, hard-edged psycho-cyber horror thriller” PANIC BUTTON gets a remastered re-release on DVD & Download (from Trinity Films). And you can WIN a copy thanks to the fine people over at Masters of Horror. Click here to enter, and hurry! The closing date for entries is October 30. The Remaster includes all-new extras including audio commentary from yours truly, and a host of other cool features. Panic Button, made in 2011, was one of the first British horror films to explore the dark side of social networking and the perils of sharing too much information online. Played out in a claustrophobic, almost real-time situation, the film taps into pertinent social issues that now have a universal significance in the digital age. Themes such as social media crime, identity theft, cyber bullying, voyeurism, peer pressure, child safety and terrorism all come into play, at a time when iPads and smart phone apps were in their infancy. starring SCARLETT ALICE JOHNSON JACK GORDON MICHAEL JIBSON ELEN RHYS and JOSHUA RICHARDS. The results of this year’s Book Pipeline Competition, for writers with material suitable for Film/TV adaptation, have been announced and (insert fanfare here) I’m thrilled to announce that my novel The Lamplighters is a Finalist! It’s a real thrill to have The Lamplighters make the selection from over 900 entries. Congratulations to Grand Prize winner Zach Fortier with I Am Raymond Washington. It sounds like a fascinating book and I am looking forward to reading (and seeing!) it. What does this exciting news mean for The Lamplighters? Well, in the coming weeks I will be consulting with the Book Pipeline and Script Pipeline development team to discuss the screen adaptation potential of my work. I’ll keep you posted on any developments. and wherever scary horror novels about The Skin Mechanic are sold. Congrats to the winners of my Halloween Giveaway! Winners – be sure to check your Facebook “other” messages folder (if you entered via Facebook), or junk email folder to claim your prize. 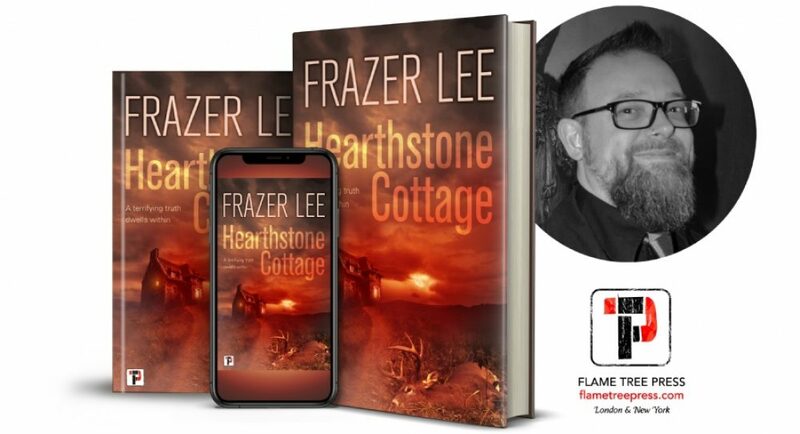 Don’t delay, enter the Frazer Lee Halloween Giveaway today! Click to enter the Frazer Lee Halloween Giveaway! I have some Halloween tricks n’ treats for you this Samhain season. Winners will be announced Nov 4th. Good luck and ~ Happy Halloween! Today is launch day for my fourth novel THE SKINTAKER, out now in ebook and paperback from Samhain Publishing. As I always do on launch day I took some time out this morning to donate a copy of the new book to my local library. I’m lucky to have the place that inspired Roald Dahl when he wrote ‘Matilda‘ as my local book haven. And I feel honoured to have my books shelved there. I’m delighted to hear that two of my other books The Lamplighters and The Jack in the Green are out on loan! Congrats Amber! I wish you good reads, and I sincerely hope the book gives you shivers. – and it’s time to announce the 5 winners of my Skintaker ebook giveaway. Congratulations to all the winners! You’ll receive your ebook code today so keep an eye on your Facebook account/email inbox. If you’d like to keep up to date with future giveaways, don’t forget to follow me on Twitter and Facebook. And i can’t wait to hear what you think of The Skintaker – please rate/review the book at Amazon and Goodreads. Remember the days when we used to have actual, physical things that we could caress and hold and (yes!) sniff? Those days can be yours again with the advent of THE SKINTAKER, coming atcha in paperback April 7th. And i’m giving away a free copy at Goodreads. Go there now and luxuriate in lurid fantasies of book-sniffing, spine-breaking and page-turning. #TheInfiniteBard is launching May 1st, 2019!